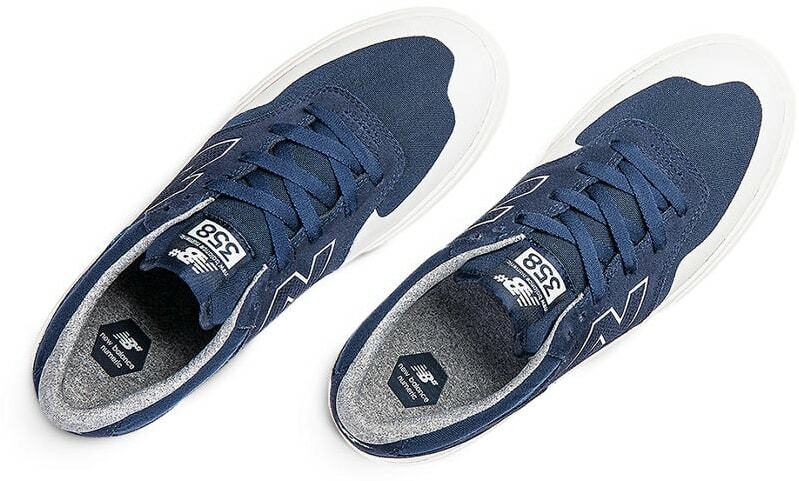 Pro Skateboarder Arto Saari''s demands of a shoe culminate in the New Balance Numeric 358. 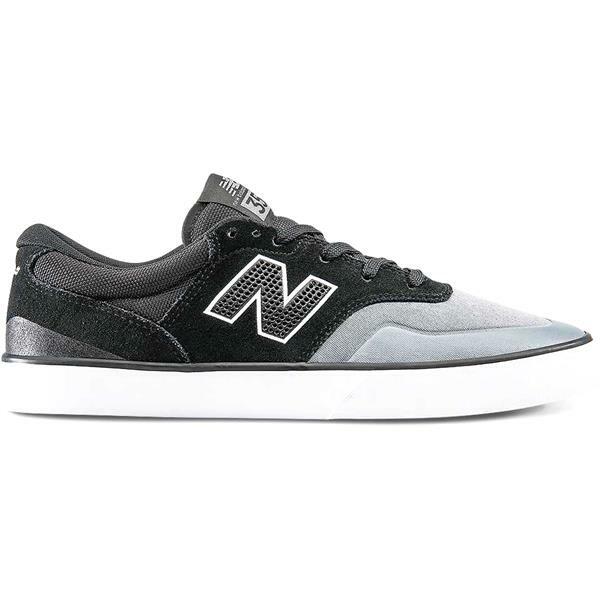 A clean, asymmetric design with subtle details to enhance breathability, grip and board control, the 358 skate shoes sits on a modified version of NB''s reliable vulcanized sole for superior board feel. The 358 features a polyurethane insert for additional support and cushioning, and is constructed from premium suede. These are Super Comfy! I would absolutely recommend these to any skater... True to size... I dig em'. I wanted a shoe that straddled the line between the minimalism of of classic vans or chucks and the overbuilt early-00's style skate shoes. These are perfect: padded collar, slightly padded tongue, very durable materials, etc. The only thing that keeps these from a 5-star review is that the laces are way too short. If you lace them to the top hole (that is, not even using the "heel lock" lacing option provided on these) you BARELY have enough lace to tie them; double-knotting is impossible half the time. This feels like nit-picking but it's a legit beef.